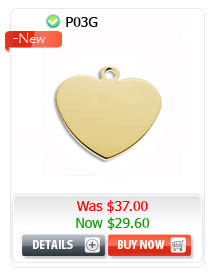 Stainless steel spinning pendant with gem paved oval frame. 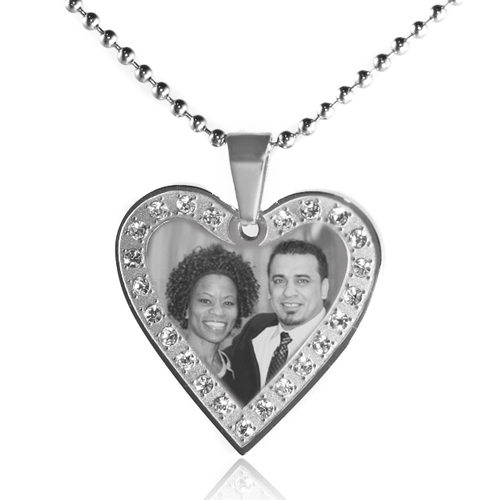 Engrave your favorite picture, symbol or message to make this a very special gift for her. 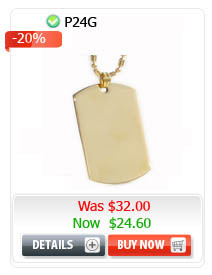 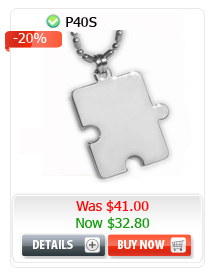 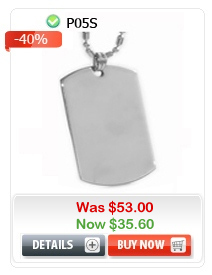 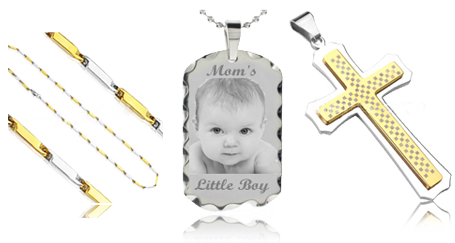 Picture Engravable Pendants. 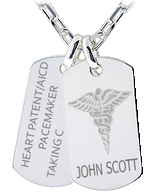 You can engrave your picture or someone's you love, and have message on back.